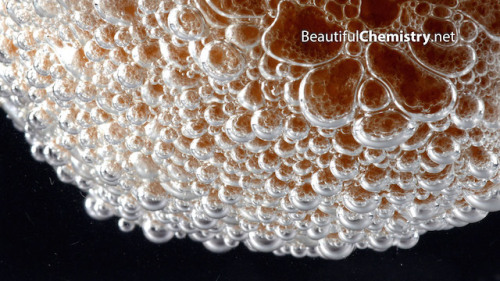 Amazing new videos of chemical reactions! Today is Chemistry Nobel day, so it’s a perfect time to spotlight a new site that explores the beauty of chemistry though ultra-high-definition videos and interactive graphics. Beautiful Chemistry is a collaborative project by the University of Science and Technology of China and Tsinghua University Press. The Beautiful Reactions section features videos taken with a 4K UltraHD camera and special lenses to capture chemical reactions in remarkable detail. The Beautiful Structures page uses computer graphics and interactive technology to showcase some of the most classic and beautiful chemical structures, including crystals, DNA and amorphous solids. ← 2014 Nobel Prize in Chemistry Announced! !